It's almost Morphin Time! The all-new Power Rangers will be invading movie theaters in less than a month, and Lionsgate is probably more excited about unleashing these teenage heroes than you are to watch the actual movie. Case in point, they have just release a ton of new posters featuring these super powered Millennials. And we get a good look at their Zords. 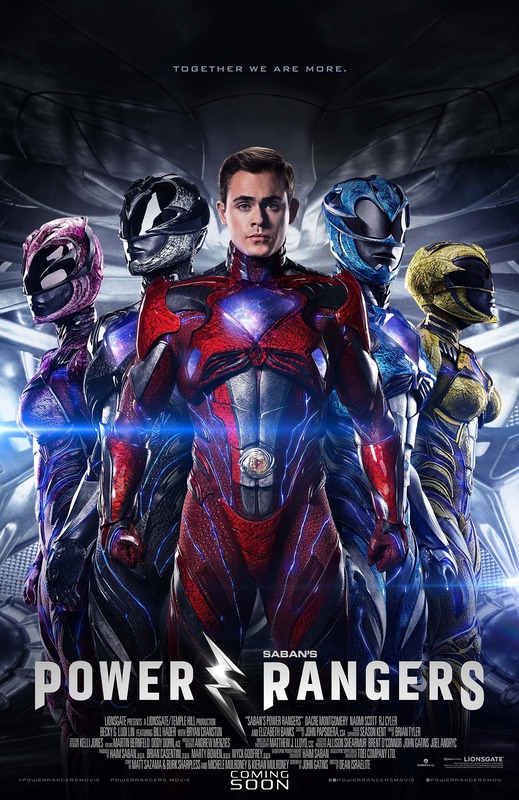 The main poster in this latest batch even unmasks the Red Ranger, played by Dacre Montgomery. Saban's Power Rangers follows five ordinary teens who must become something extraordinary when they learn that their small town of Angel Grove, and the world, is on the verge of being obliterated by an alien threat. Chosen by destiny, our heroes quickly discover they are the only ones who can save the planet. But to do so, they will have to overcome their real-life issues and before it's too late, band together as the Power Rangers. 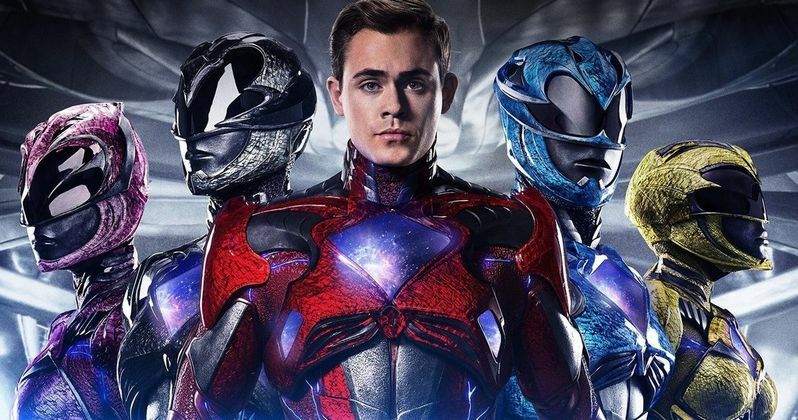 Dean Israelite (Project Almanac) directs Saban's Power Rangers, which stars Dacre Montgomery, Naomi Scott, RJ Cyler, Becky G, Ludi Lin, featuring Bill Hader, with Bryan Cranston and Elizabeth Banks. The screenplay is by John Gatins (Kong: Skull Island, Real Steel). Story is by Matt Sazama & Burk Sharpless (Dracula Untold) and Michele Mulroney & Kieran Mulroney. Producers are Power Rangers creator Haim Saban, Brian Casentini (Power Rangers TV series), Wyck Godfrey, and Marty Bowen (The Twilight Saga, The Fault in Our Stars, The Maze Runner franchise). In this latest reboot, Rita Repulsa will use Goldar to take down the five teens endowed with Power Rangers armor, who are on a mission to save the world. This version of the franchise is a little less cheesy than previous incarnations, and will feature state of the art VFX and Mo-Cap for some of its biggest action set pieces. The Power Rangers are still moping around Angel Grove before they're called on to save the planet. A tough task for Millennials, which will put a nice spin on the proceedings. Will they be able to stop high-fiving themselves over making a sandwich long enough to put down their devices and help someone other than themselves? Speaking of 'devices', you may notice a Snapcode in the lower-left corner of the some of these latest posters. Lionsgate explains why. "Snapchat users can scan the new 'Snapcode' to unlock a new, immersive 360-degree Power Rangers 'Lens' that puts them in the Red Ranger's iconic costume and allows them to 'morph' their visor, with a view of the mighty Zords and their fellow rangers." It's time to suit-up and get in your Zord. The Power Rangers is planned as a new franchise for Lionsgate, with many more Power Rangers movies coming in the near future, if this first installment is a hit. Also planned for the near future is an all-new Power Rangers animated series that will be geared at the PG-13 audience as this latest incarnation of the hit show goes deeper and darker with the mythology that has been previously set up. There's no stopping the Power Rangers! Take a look at all the exciting new posters courtesy of Lionsgate and IMP Awards.